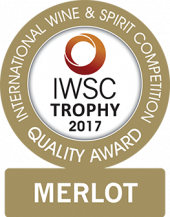 Following on a very successful award’s season, Fleur du Cap’s Unfiltered Merlot 2014 was awarded the prestigious Merlot Trophy during the 2017 International Wine & Spirits Competition. Fleur du Cap red wine maker Pieter Badenhorst notes that this award is extremely special to not only the team, but also the industry as it is the first South African Merlot to receive this prestigious trophy. Recently the wine was also awarded a coveted Gold Award at the 2017 International Wine & Spirits Competition. The Fleur du Cap winemaking team, at Die Bergkelder in Stellenbosch, are extremely pleased with these results. “This wine is yet another example of our team’s dedication to crafting wines that will make our loyal customers’ wine drinking experiences, just that little more special,” says Fleur du Cap red wine maker, Pieter Badenhorst.